In the wake of the March 22 ISIS terrorist attacks in Brussels, Belgium, the specter of further episodes of violence aimed at so-called “soft targets”—and the rise of jihadi recruitment in Europe and the West—looms greater than ever. 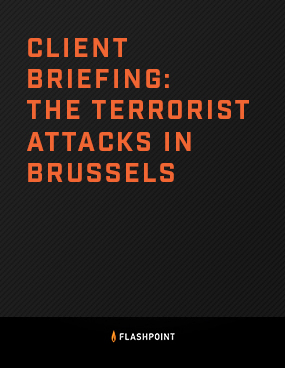 The latest attacks in Brussels appear increasingly connected to the November 13, 2015, attacks in Paris – which means that the ISIS operatives behind them formed a transnational active network, not merely a sleeper cell. The steady flow of online propaganda produced by ISIS has given the group unprecedented reach into Western communities, allowing the recruitment of thousands of European and North American citizens to its ranks, and the rapid adoption of new technology to further its goals. Of specific concern is what this escalation means for the security and stability of Western Europe and the U.S. To understand the comparative urgency of threat particularly faced by various countries in Europe, one need only look at the relative numbers of how many nationals from each of those countries are estimated to have traveled abroad to Syria and Iraq with the intention of joining armed militant groups.